Sorry for the short notice, next Monday, the 12th of March, at the Westchester Italian Cultural Center in New York (7.30pm) the Mayor of Pompeii Claudio D'Alessio will illustrate the preliminary project plan of an experimental park for the area north of ancient Pompeii. 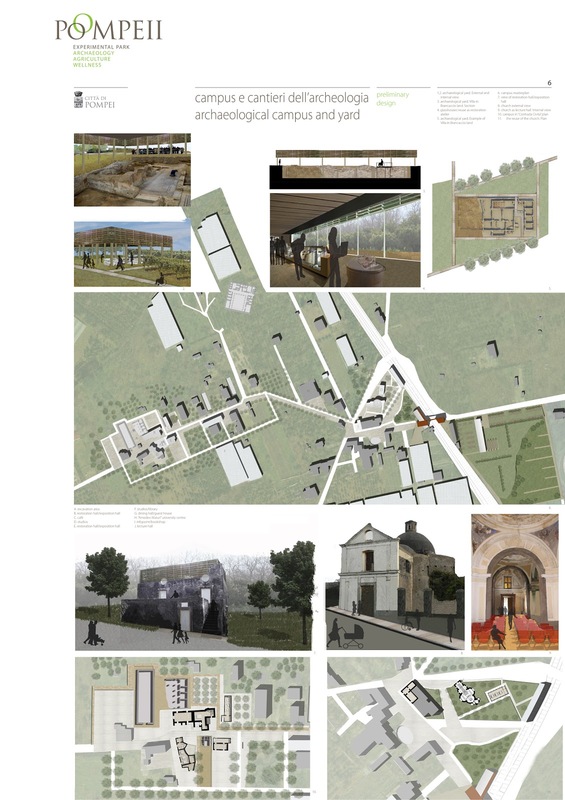 The plan aims to "revive" this neglected part of modern Pompeii by creating an innovative park, which combines a natural park with an archaeological park (the villas unearthed in the early 20th century), and reuses abandoned buildings for tourism and research, with labs and lodgings for scholars and tourists. Considering that this wide portion of the land was densely inhabited and cultivated in antiquity, by law no new building can be set above the ashes, therefore the most challenging part of the project has been to imagine how, through the reuse and restoration of what already exists, this area can be used for sustainable tourism and academic research. I attach one of the panels which will be displayed, I will post more soon. This is something I would definitely like to know more about! Thanks for posting.